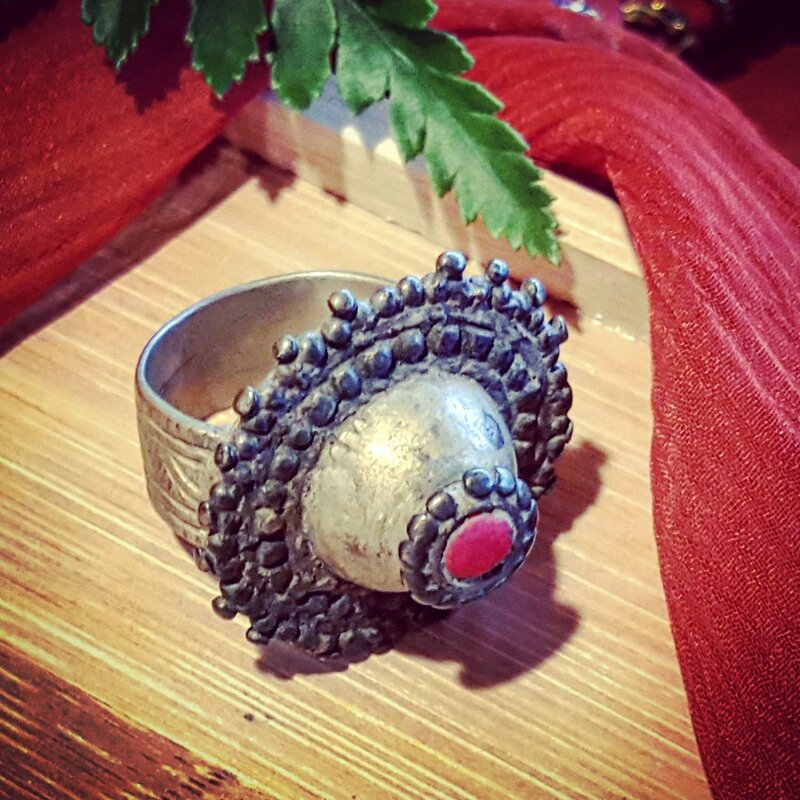 Vintage Kuchi ring from Afghanistan. Inset is a red glass or plastic stone. Raised dome with red inset. The face of this ring is decorated with granulation work. Band is wide with some etched decoration to it. US size 8. 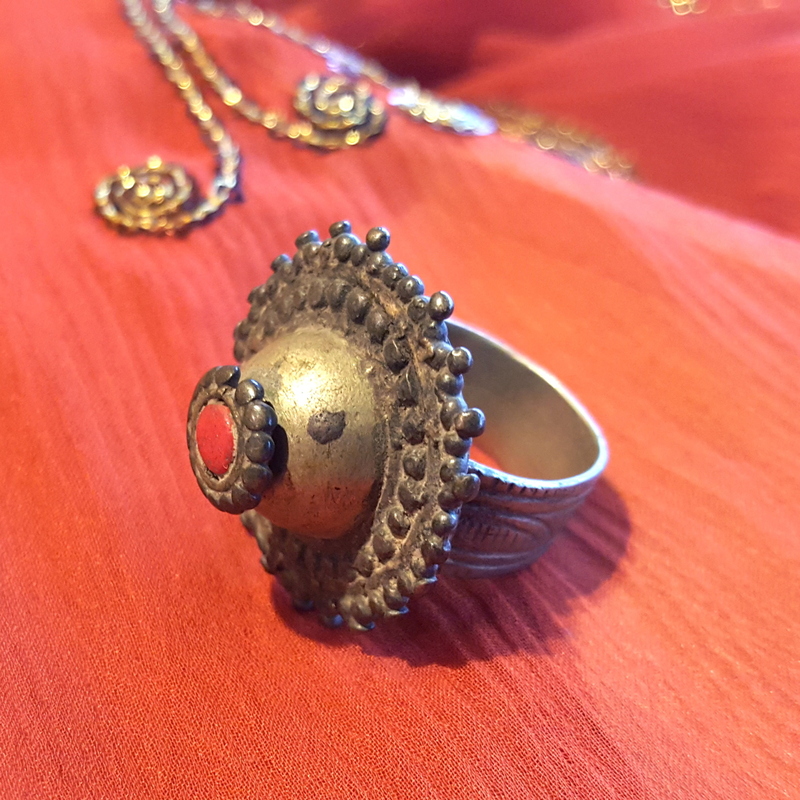 A nice heavier weight old ring (not a new lightweight piece) to add to your tribal rings collection.